We are proud of our high-quality and varied selection of forklifts, but our Princeton Forklifts are some of the most popular for construction companies. If you’re looking for a cost-effective investment into a forklift that can be ready for work immediately, consider buying or renting a Princeton Forklift. 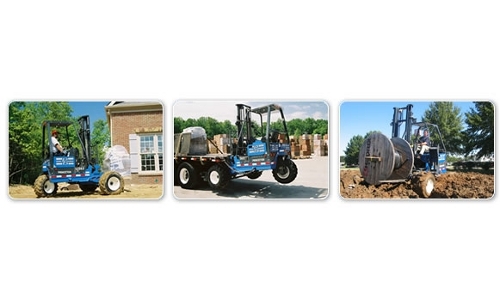 We carry the Princeton line of PiggyBack® forklift trucks. These truck-mounted forklift trucks can be used in all types of applications, including Lumber, Brick, Drywall, Roofing, Sod and more! 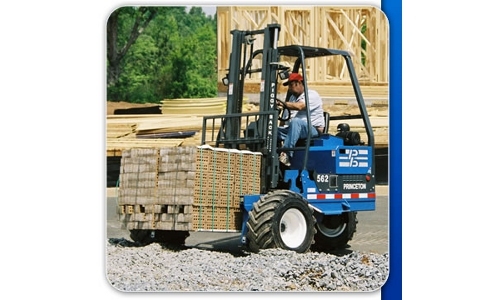 This forklift can be carried by almost any truck or trailer and is ready to use in less than 60 seconds. Give your team the tools they need with the Princeton Forklifts! Inventory for Princeton Forklifts varies based on location. Get information on how to operate and maintain them, plus anything else you need to know. Our team is here to help you! You can call (866) 266-2244 to see which forklifts are available in your area.